How can your spirit be healthy if your temple is run down? God wants both a healthy Spirit as well as a healthy temple. At Jackson Chapel UMC, we care about your well-being and offer the resources to strengthen your physical body. ​Our Health and Wellness Ministry is committed to overall wellness and hosts a variety of health education seminars and church events annually, like our blood drive in partnership with the American Red Cross and our Diabetes Awareness Seminar. The Health and Wellness Ministry also offers monthly Blood Pressure Screenings every 2nd Sunday after service. These 10 Superfoods are proven, expert-beloved disease fighters and energy boosters. Add them to your meals and get on the fast track to a super healthy body! Lyme Disease ​cases are expected to continue to increase in the U.S., as the ticks that spread it continue to show up in new areas, experts say." I think we’ll just keep seeing more and more,” says John Aucott, MD, director of the Johns Hopkins Lyme Disease Clinical Research Center. 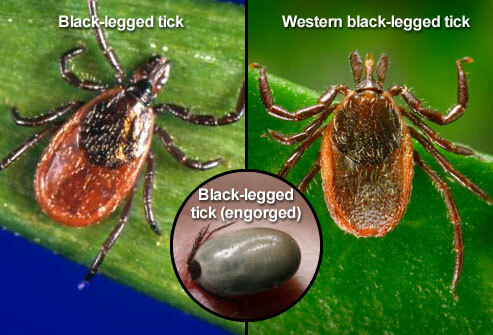 Although most cases are still reported in the Northeast, the black-legged tick -- also known as the deer or bear tick -- has been found as far south as Florida and as far north as Canada, data from the CDC show.